If your kids are like mine, then they walk in the door acting like they haven't eaten for the entire school year. Instead of stressing out trying to find snacks for them each day, make many snacks at once, and divide the food into small reusable containers that kids can easily access. This way they can walk in the house and get themselves a preapproved snack while bypassing you. While you're at it, make sure that you have Carbona Stain Devils on hand for whatever snacks they get on themselves while devouring the snacks like ravenous wolves. 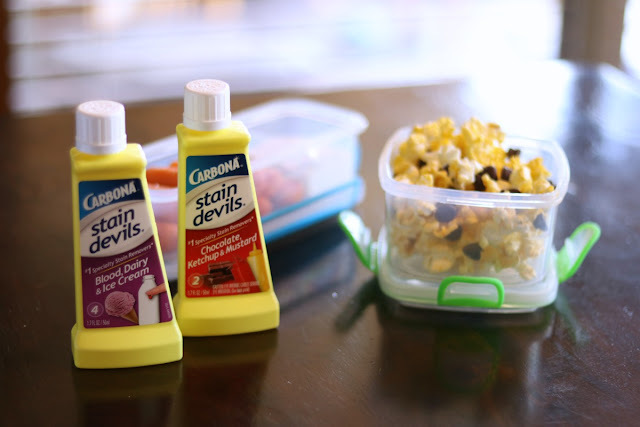 Carbona makes Stain Devils for almost any stain that you can imagine. They are specially formulated to remove specific stains from clothes. The same formula that might get out marker is not the same one that removes juice. That's why Carbona created a different Stain Devils variety for each of those. We have the entire set in our house because they are my family's go-to stain removal solution! 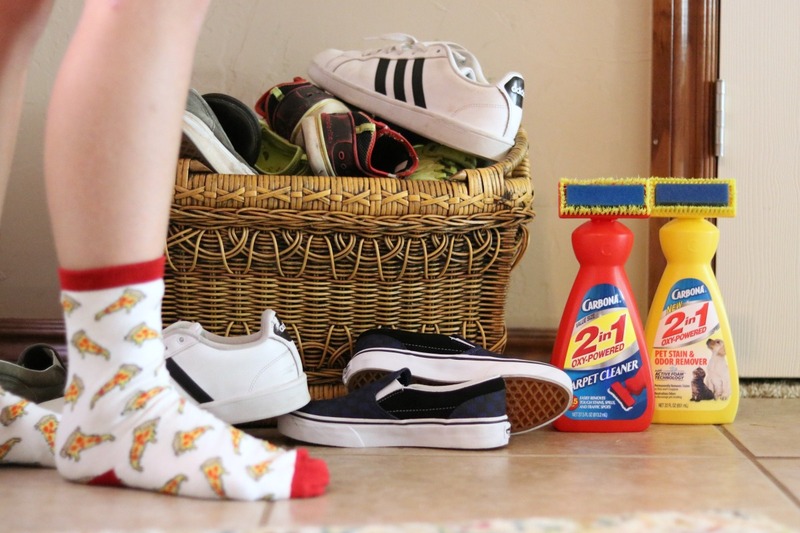 Have you ever stopped to think what gets on your kids shoes while they are at school? On second thought, don't do that. It's just too disgusting and you've probably seen half of it tracked through your house anyway. 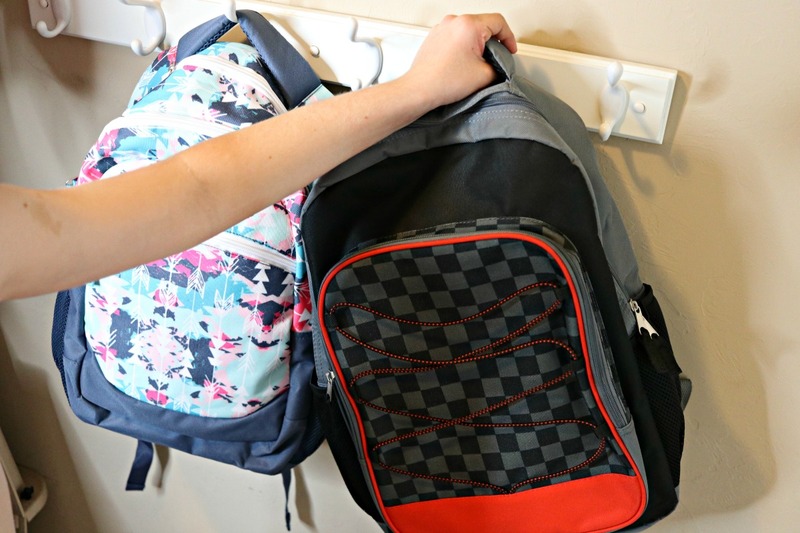 If you keep a shoe basket by the door, they can remove their shoes before they walk through the house with whatever science experiment is happening on the bottom of their footwear. For those times that they are caked with dirt (and didn't notice) we keep Carbona 2-1 Oxy-Powered Carpet Cleaner handy to quickly remove stains. It comes with a convenient brush head so that you can work the cleaner into your carpet, then blot up the excess with a clean cloth. See how I removed a year old stain from my kids' carpet in my blog post HERE. Have you ever heard a parent talk about how much they love mornings and the leisurely and relaxing time they have getting their kids ready for school? Neither have I. This is why I always recommend doing as much as possible the afternoon and night before. If you establish a routine of packing (or having your kids pack their own) lunches right after dinner it helps to make the next morning infinitely better. One pro tip is to move leftovers from dinner directly from the table into lunchboxes for the next day. 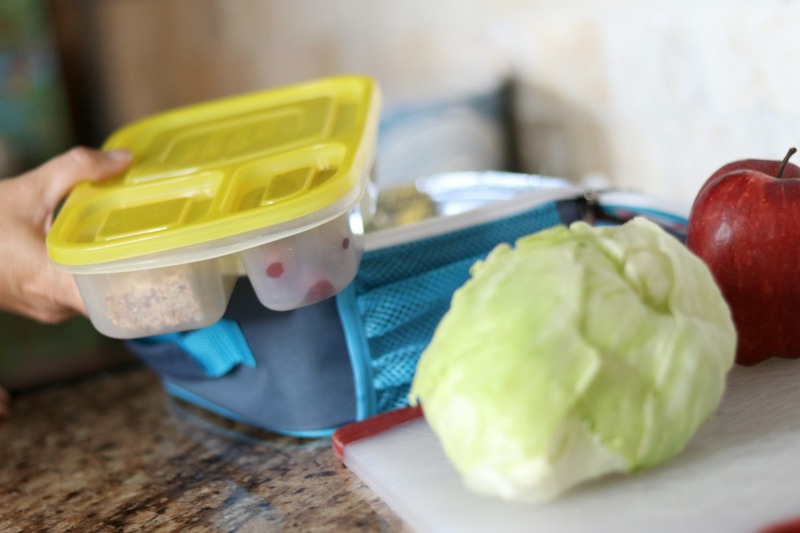 This combines cleanup and lunch packing into one! It seems like parent life sometimes consists entirely of running kids from after school activity to the next after school activity. Organizing schedules, car pools, and practices is on the same difficulty level as calculus. In fact, I'm convinced that the master mathematicians have got nothing on a parent organizing the extra curricular activity calendar for multiple kids during the school year! This is why we create bags that hold all the kids equipment for sports, tutoring, etc. Everything they need is always stored in this one bag so you or your kids can just grab that bag and go. It makes life so much easier. 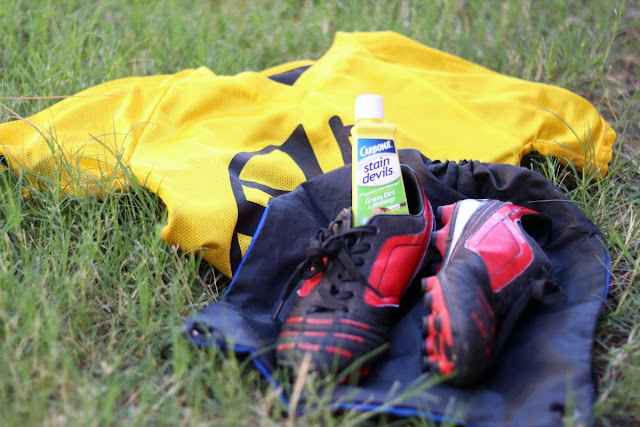 We also keep Carbona's Stain Devils Grass, Dirt, and Makeup formula near the sports bags. All you do is wipe off as much of the stain as you can. Then put a white cloth beneath the clothing where the stain is. Apply a small amount of undiluted Stain Devils to the spot, pushing the stain through to the cloth. Finish up by rinsing the clothing in warm water. I told you we love these Stain Devils! Check out how we removed more stains in my blog post HERE. 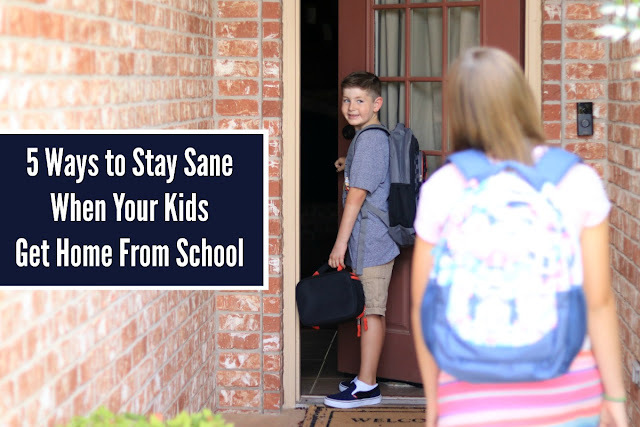 So there are five of my tips to help you stay sane this school year. Of course there will be times where you feel overwhelmed and you aren't sure if you can survive another "Spirit Week Crazy Hair Day." But you will survive because you're a parent and we can make it through anything, except maybe a third grade recorder concert. Those should be illegal. But these tips, and some Carbona stain removal products, will help you get through the year and hopefully enjoy yourself along the way!